Monica Fabbio with Kuper Sotheby's International Realty looks forward to helping you with all of your luxury residential real estate needs. 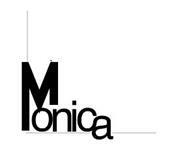 As one of the original partners of Austin's Capital City Sotheby's International Realty, (later acquired by Kuper Sotheby's International Realty), and having been recognized as an Elite 25 member representing the top 1% of the Austin market, Monica demonstrates professionalism, knowledge, experience, and sophistication when dealing with the most distinctive of properties. in the Austin, TX area? "Our quality photography, extraordinary lifestyle marketing, and distinctive homes are at the foundation of our creative execution." Hands down, Sotheby's provides the greatest exposure for the sale of your house. The unprecedented quality, depth and breadth of our marketing and the professionalism and experience of our realtors is top notch. Additionally, The Monica Fabbio Group at Kuper Sotheby's International Realty is dedicated to doing anything and everything it takes to get our houses sold whether it be through print advertising, special events, creative video, extreme networking both locally and nationally with realtors and individuals, social marketing, and more. Each house is different, and each one requires a customized marketing plan that is layered on top of the very thorough and classy international, national and local Sotheby's plans that are already in place. No matter which market you're in, you can use the marketing programs and experience of a qualified Austin, TX real estate agent like me to help sell your house quickly for the most amount of money and in the shortest time possible. Learn more about my service, see information about recent home sales in Austin, TX, or contact me to get started today! Finding the right home can be a difficult process, but no matter what you are looking for, as an experienced Austin, TX real estate agent I can provide you with the resources you need to make the home buying process simpler, from specific Austin, TX neighborhood information, to tools to estimate your mortgage payments, & buyer resources and articles that will help you through the home buying process. Find your home with our complimentary SIR application on your Android, iPhone, iPad or Blackberry in order to search for properties all over the world no matter where you are. 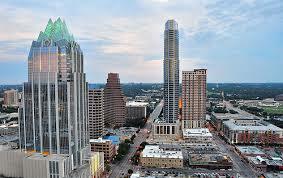 This is a one-stop real estate website for all your home buying and selling needs in Austin, TX. I’m a professional real estate agent who will help make your search for a new home an enjoyable experience. I encourage you to check out more of my website for local neighborhood and school details, mortgage information, interactive maps,listings of properties of homes for sale, plus many more features. Feel free to contact me directly if you have any questions about the Austin, TX real estate market, or buying or selling a house in Austin, TX.